People who wait until the absolute last minute to merge. 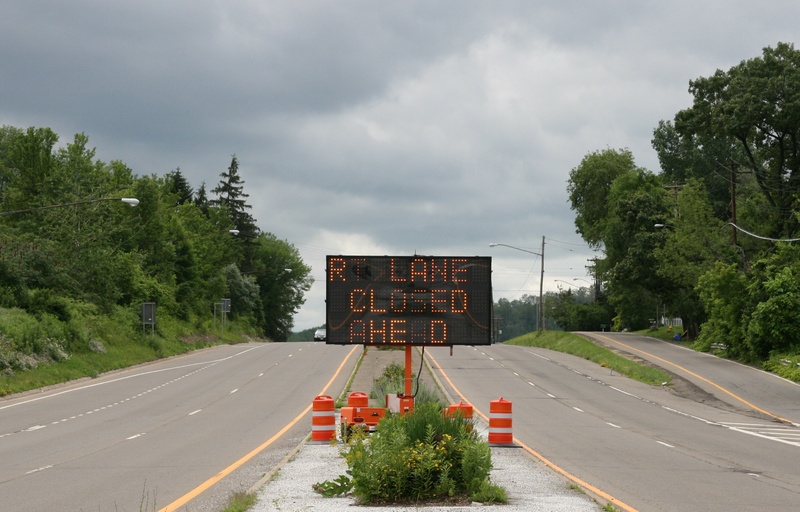 No one can explain what’s going through the heads of those who see the sign clearly stating that the lane will be closed ahead, and then neglect to make any attempt to merge into the open lane until they’re literally out of options. 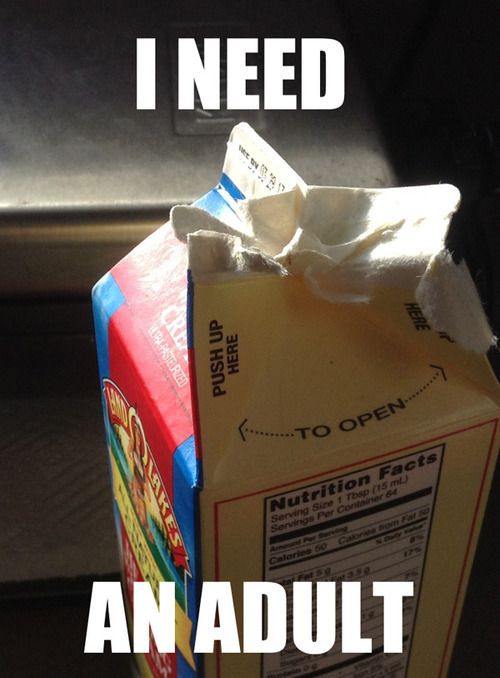 Failing to open a milk carton despite the clear instructions printed on it. Even as an adult I manage to mess these up. Everyone knows someone who uses the word “literally” as though it were the verbal equivalent of MSG, enhancing the flavor of everything it touches. The problem is that the word “literally” is supposed to mean that something was exactly, precisely so. You literally died? Probably, not so much. The fact that rampant misuse of the word “literally” convinced the dictionary editors to adopt this misuse as a new and valid meaning! It’s true. In 2013, Merriam-Webster, Cambridge, and Oxford dictionaries updated their meanings of the word “literally” to account for the new, less precise colloquialism. And my soul died a little bit. People who don’t know “they’re” from “there” and try to make arguments about others’ intelligence. Say what you will about how dumb “most people” are, but if that’s what you choose to do, at least make an effort to avoid the simple mistakes. People who resort to correcting your grammar when they sense they’re losing the actual argument. Brian: You recognize theirs a difference between making someone fear for their personal safety and having your feelings hurt by rejection, right? Dave: It’s *there’s, not *theirs, IDIOT. People for whom having to wait in line at the post office is the most they’ve been inconvenienced in their lives. Whether at the post office, the DMV, the airport, life is full of events requiring that you form an orderly queue and wait your turn for service. Most adults come to expect that this will happen to us quite regularly. And when standing in line, we prefer to stand silently with our thoughts, fiddle with our phones, or even count the ceiling tiles. What we don’t want to do is hear about how ridiculous you believe this line is. We don’t want to hear your theories about the incompetence of the employees. We don’t care about how much quicker you’d have people through here if you were in charge. Nope. We’ve come to expect this. Your bellowing is only making the wait that much worse for everyone involved.